Andy North turned professional in 1972. North had a moderately successful career on the PGA Tour made remarkable by the fact that two of his three wins on the Tour came on the biggest stage in men's professional golf, the U.S. Open. 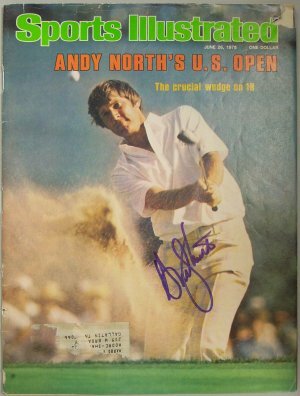 Andy North has hand autographed this June 26, 1978 Sports Illustrated Complete Magazine. Certificate of Authenticity from Athlon Sports. Condition is AS IS. Item is as shown.